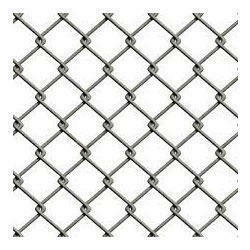 To meet the varying needs of our clients, we are offering quality assured Chain Links (Fence Link). Our product is widely used for boundary walls in green houses as well as poultry farms. It is available in variegated sizes so that our esteemed clients can get it as per their specific requirements. To make it in accordance with the international quality standards, we manufactured this product with superior raw material that is mustered from reliable and well-established vendors. Therefore, it is highly reliable for a long lasting flawless performance. Looking for Side Jali ?